They look really cool when they're swimming, they like playing with balls and they really love to paint. Thing is, there are only 3,274 living tigers left in the wild and each day horrible people conspire to make that number lower. So on July 29 International Tiger Day is happening to raise awareness (and funds) so that Tony, Tigger, Shere Khan and all the other striped big cats can prowl in peace. 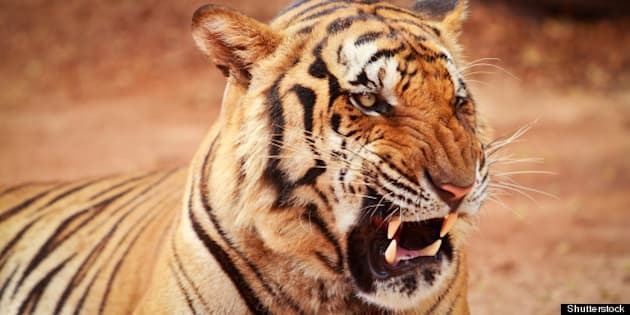 So in honour of Tiger Day, we here at HuffPost Canada collected 15 grrrreat songs about tigers.